Our non toxic bench spray will be a welcome relief to your daily routine. 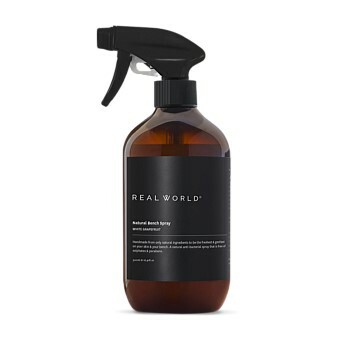 Spray and use on all your surfaces knowing that there are no harsh chemicals or toxins coming into contact with you or your children's skin. Using natural anti bacterial essential oil tea tree and white grapefruit essential oil to cut through the grease. It will leave any bench top glistening. 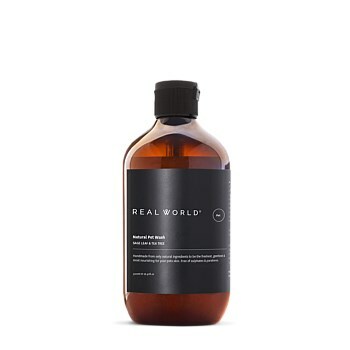 Glass bottle a perfect match for your Real World Dishwashing Liquid. Our non-toxic natural Pet Wash will leave your dog smelling fresh. Great for dogs and pets with sensitive skin. It is a gentle pet shampoo and animal wash that contains only hand selected, high quality premium ingredients ideally suitable promote a healthy coat and well-being of your pet. With a natural fragrance of natural oils which promote a bright healthy coat, you can be sure your best friend is free nasty of silica compounds, sulphates & parabens commonly thought to be the root cause of common skin irritation in animals. Veterinarian Tested & Approved.